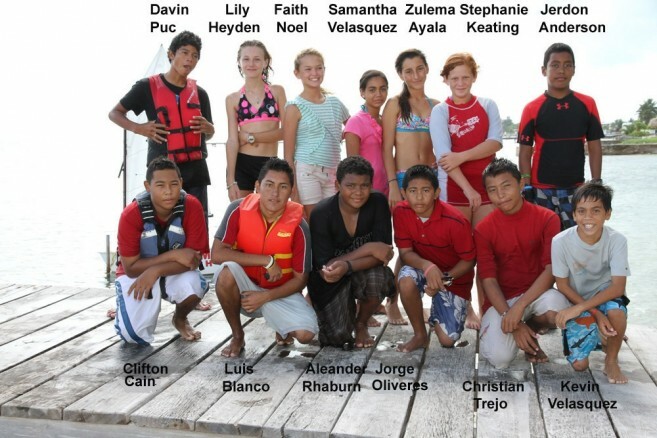 The Belize Sailing Association has invited 17 young Optimist Class Dinghy Sailors from San Pedro to compete in the 2012 Belize National Regatta. The 2-day regatta will be held here in San Pedro, off Central Park, the weekend of November 17 – 18. Jerdon Andeson,Davin Puc, Zulema Ayala, Alexander Rhaburn * , Luis Blanco, Cade Segura, Cllifton Everett Cain, Mitchell Sersland, Lily Heyden, Christian Trejo, Morgain Jones, Blanca Velasquez, Stephanie Keating, Kevin Velasquez, Faith Noel, Samantha Velasquez and Jorge Oliveres. They will race for the National Championship as will nine other junior sailors from clubs on the mainland. *Alexander Rhaburn is the defending (2011) National Champion.